The wild Hare Universal shotgun cleaning kit gives you everything you need for cleaning your shotguns both at home and in the field. The heavy duty, 6-piece stainless steel rod is sturdy and has an optional hex-style drill adapter for even faster bore cleaning. The rod (without bore brush) measures 43.5" with the hex adapter or 37" with the nylon T-handle. The kit includes the revolutionary breakthrough clean Military-Grade cleaning solvent and battle born High-Purity oil giving you the right tools to get the best cleaning. Designed to clean and maintain all shotguns from .410 Cal. Thru 12 gauge. The entire kit fits in a lightweight nylon soft case with MOLLE back for convenient carrying or attachment to your favorite backpack or case. 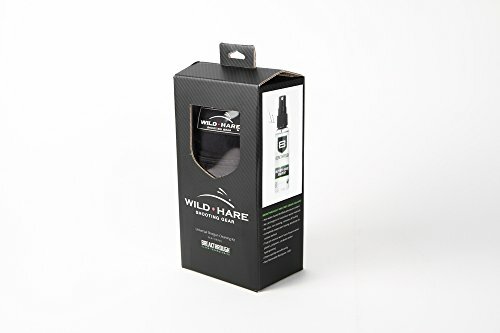 If you have any questions about this product by Wild Hare Shooting Gear, contact us by completing and submitting the form below. If you are looking for a specif part number, please include it with your message.